CHATTANOOGA – A joint investigation by Special Agents from the Tennessee Bureau of Investigation, the Bledsoe County Sheriff’s Department, and the Pikeville Police Department has resulted in the arrest of a Pikeville man in connection to the homicide of a mother and her daughter last week. At the request of 12th District Attorney General Michael Taylor, TBI Agents joined the investigation into the circumstances involving the deaths of two women, identified as Dedra Lawrence (DOB 2-2-93) and Deanna Lawrence (7-31-71), shortly after authorities them deceased in a home on October 30th on Sawmill Road in Pikeville. During the course of the investigation, authorities developed information leading to Robert Joe Whittenburg (DOB 1-30-74) as the individual responsible for the deaths. On Sunday afternoon, authorities arrested Whittenburg and charged him with two counts of Criminal Homicide. 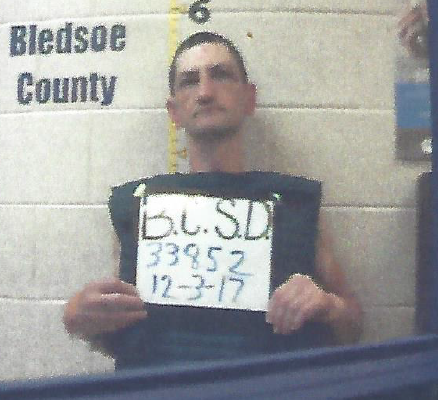 At the time of this release, he was being held without bond at the Bledsoe County Jail.